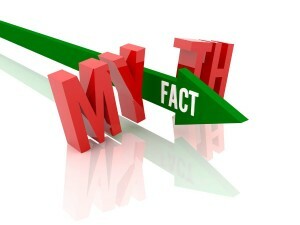 Even amongst the gold mine of enlightening information and research that is being disseminated amongst modern hiring professionals and managers, certain hiring myths still persist. These are myths that can hold organizations back, clouding their judgment and making it harder for them to make good hiring decisions. This is why I thought now would be a good time to identify and debunk five of the most common hiring myths, as I see it. There was a saying at one of my previous employers that if you wanted to get a pay rise all you had to do was resign, (yes resign), work somewhere else for six months and then come back and you would be offered a substantially higher salary. Now, I am not saying that there was evidence to back this up, but this attitude amongst staff was a reflection of the prevailing myth in the organization amongst management that external talent was usually a better bet than a promoted internal hire. The grass is greener on the other side is a well-known flawed way of thinking in the wider world and is also the case in terms of the notion that external hires are an automatic better bet than internal hires. This study from Wharton Business School shows that external hires are less profitable as they are paid 18 percent to 20 percent more than internal employees doing the same job; receive lower performance appraisals scores in the first two years; and were 61 percent more likely to be fired. External hires are not automatically better than internal hires. Most of us believe that a candidate’s technical/functional job related skills are the most important determinant of success in a role. This is not true. Numerous studies show that functional skills are not the main reason that workers fail in jobs. This one from Leadership IQ shows that just 11 percent of new hires fail due to lack of technical skills, (89% fail due to attitude issues); and this study from Mcquaig reveals that 61 percent of managers say that lack of skills are not the reason for new hire failure, (it’s the boss relationship). Don’t get too hung up on perfect fit technical skills as they are not key to success or failure, attitude and boss relations are. It’s easy for us to pat ourselves on the back and think that we have all the answers when it comes to hiring, but the truth is that the assessment process is not 100 percent reliable and nowhere near it, even when the most robust hiring systems are used. Structured interviews, which are the mainstay hiring practice of the recruiting intelligentsia, are only 62 percent reliable. This means that four out of 10 predictions are wrong. Hiring processes are more reliable than gut instinct and informal interviewing but are still very fallible and will on regular occasions produce an ill-fitting candidate. This “perfect hire” condition is something that hiring managers are more susceptible to than recruiting managers, in my experience. We are in a climate of acknowledged talent shortages with nearly four in 10 employers having trouble finding the candidates with the right skills to fill open posts. Demand is outstripping supply. At the best of times, employers will find it near on impossible to find talent that perfectly fits all the position requirements. Who can be 100 percent productive from day one? It is near on impossible in the current climate, unless you want to wait an extraordinarily long time, which will harm productivity and fulfillment capability. When a job opening occurs, the first port of call to find new talent is usually a job boards. It’s the righteous and wholesome thing to do and it feels good to see our job description beaming like a bright star at the top of the job board! While job boards are undoubtedly effective, they have been superseded and have been consistently outperformed in recent years as a provider of qualified new hires by the process known as employee referrals. The 2013 CareerXRoads study showed that employee referrals hiring accounted for 24.5 percent of new hires, compared to just 18.1 percent from job boards in 2012. It was 28 percent to 20.1 percent in favor of referrals in 2011 and 27.5 percent to 24.9 percent in favor of new hires. Job boards are not the most influential source of hire, employee referrals are. I’d love to hear your thoughts on any other major hiring myths that you feel need exposing.